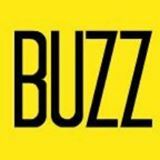 Every Tuesday I toss up a series of links to stories I’ve written or found interesting the past week. [twitter]The World Junior Hockey Championships are less than a week away. 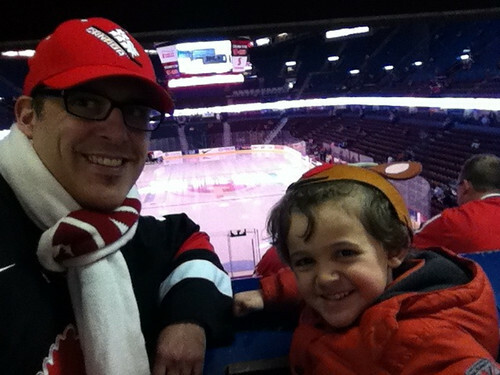 I took Zacharie to the Finland-Canada exhibition game. Zambonis and popcorn, what more could a 4 year old want? You can follow the tournament on Twitter, @HC_WJC and use the hashtag #IWasThere for the games. If you tell your kids about Santa, are you a liar? Justin Bieber‘s mom never did the Santa thing for fear her son would think she was lying about Jesus when he found out the secret. Regardless of her motives, Bieber’s headlines are once again touching off the “am I lying to my kids” debate in parenting circles. How do you discover your new music? Now that I’m working for a 60s, 70s, 80s radio station, my consumption of new music has been cut considerably. This weekend I punched up BBC Radio 1 to hear Reggie Yates and the Official Chart. I immediately downloaded Lloyd‘s Dedication To My Ex and Avicii‘s Levels. Both are killer, I recommend you do the same. Are high school reunions obsolete? In 2008 I wrote an article about how Facebook was being used as a way to gather students to attend the reunion and hypothesized they might eventually be pointless. This week the New York Times is on the bandwagon. “Social networking has robbed us of our nostalgia,” said Michael Fox, who attended his 20-year high school reunion in November. He was disappointed to find there was little he didn’t already know because of Facebook. Still, others are saying Facebook makes the reunions better, you can cut the “what have you been up to?” small talk and get right to the old school hookups. If you’re not crazy enough for the holidays and want a couple of recipes to toss into the last-minute mix, here are 3 worth trying. Coconut Cardamom Burfi is an exotic twist on your traditional snowball. Condensed milk, chai spices and coconut make this easy treat delicious. Dinner with Julie had a meat and baking challenge from her CBC friends last week and she found a way to mix bacon with shortbread. Her recipe? Bacon Shortbread with Salted Stout Caramel. Wow. And finally, since Glo MacNeill‘s Luscious Lemon Pudding Cake has been sold out ever since she won the $250 000 Grand Prize on Recipes to Riches, make it yourself! I could not go 5 minutes without being exposed to Michael Buble last week. I heard his #1 album on the BBC Official Chart. I saw 2 unauthorized biographies at WalMart. He was on SNL and his Christmas Special has been on more than twice. Back in the day, when he was little more than a cigar lounge singer fronting a band called the Bubble Jets, I was his emcee. What have been your favorite reads of the past week?